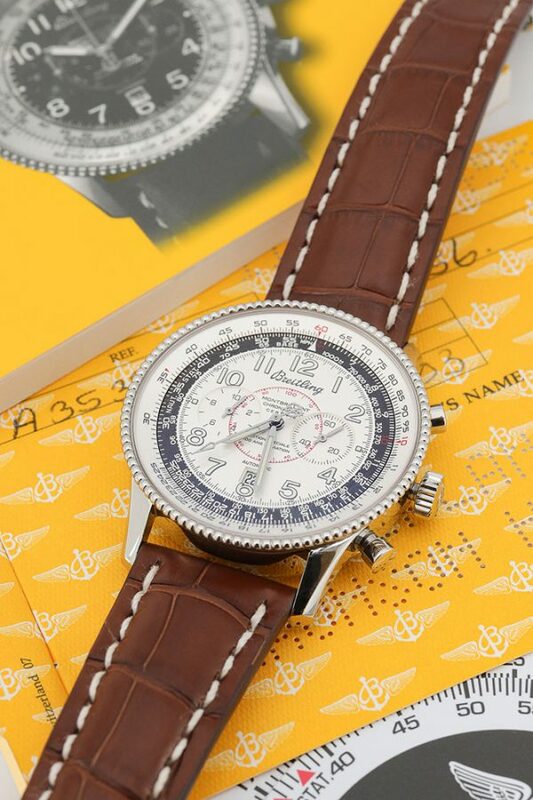 Breitling and aviation are two things that are inseparable. The success of the Swiss watch manufacturer is built upon their connection with aviation since 1936 when they introduced their first chronograph for an aircraft cockpit. 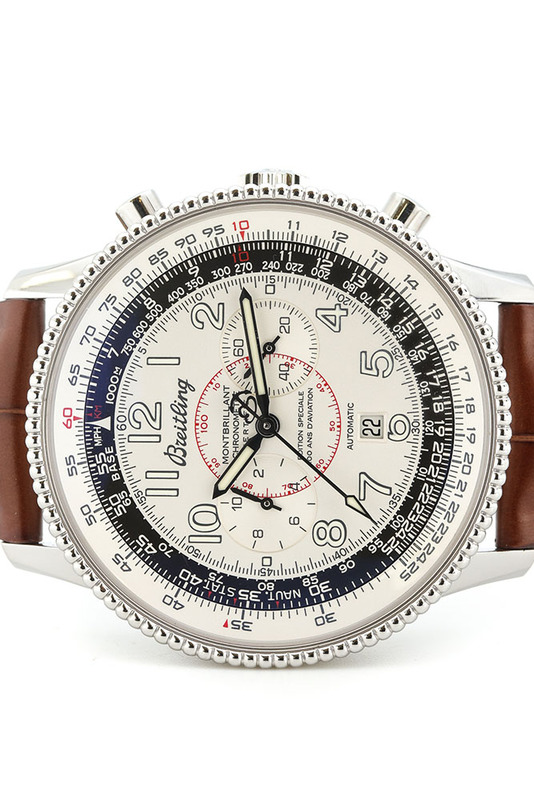 In the 1950s many ‘tool-watches’ emerged on the market and Breitling did right by introducing the Navitimer. This icon which has never left the collection is seen as one of the most famous and functional pilots watches of all time. The Breitling Montbrilliant is a relative of the Navitimer and comes in some sort of retro design. The name Montbrilliant derives from the street Rue mont Brilliant, where the first workshop of Swiss watchmaker Leon Breilting was located. 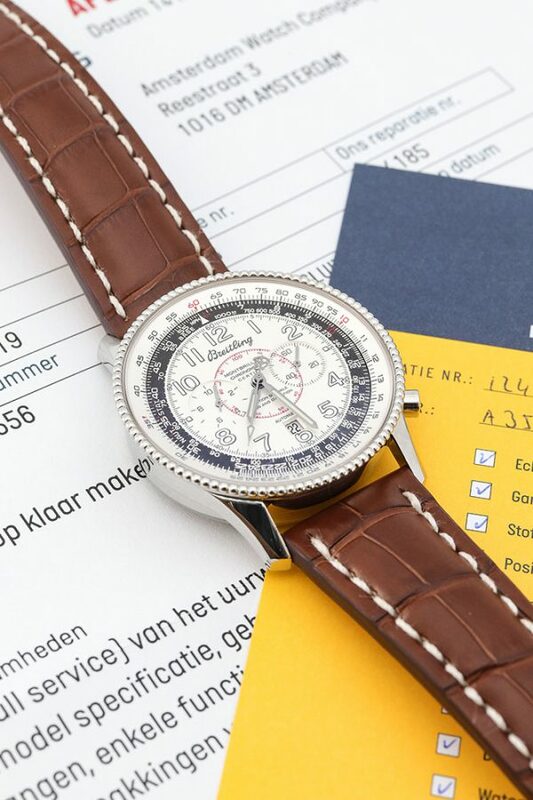 So this pilot’s chronograph may have some brand heritage characteristics with its curved ‘Breitling’ letter writing which derives from the 1940s, however, this model also celebrated the 100 years of aviation history. In 1903 the Wright brothers completed the first manned aviation flight with a real airplane and in 2003, 100 years later, Breitling saw the opportunity to make an anniversary watch to celebrate their connection with aviation. 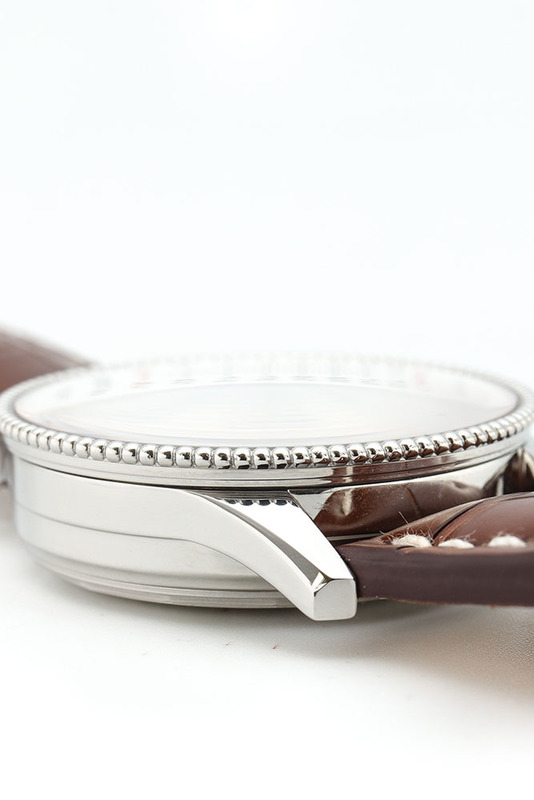 This Montbrilliant has a 42 mm case and its like new. 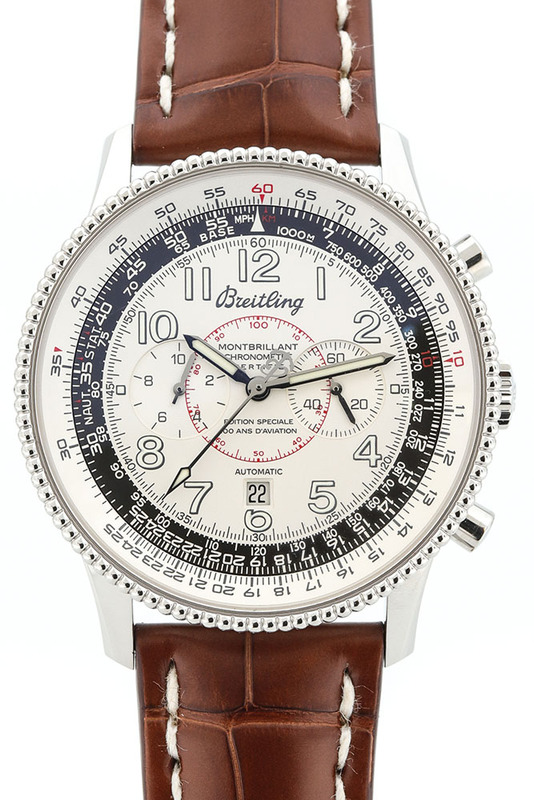 The retro design of this watch makes it one of the most appealing Breitling watches on the market. 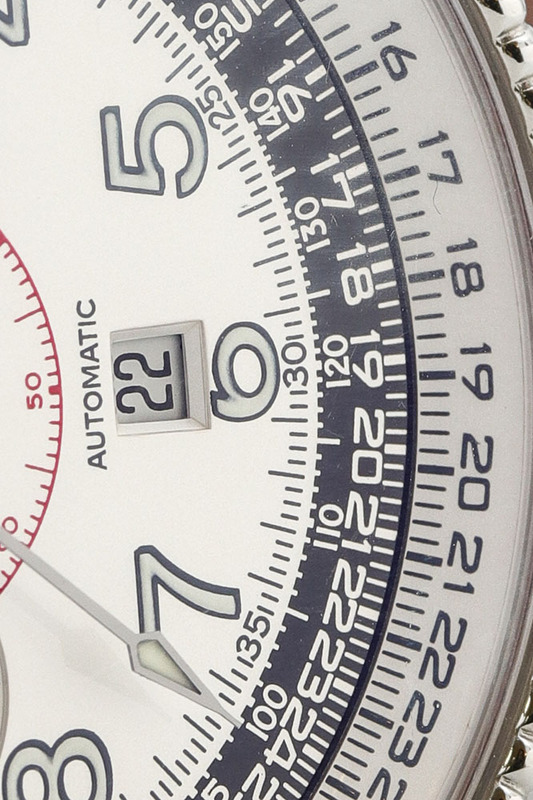 with the curved written brand name and vintage dial lay-out, it’s quite stylish. The duo register chronograph feels more vintage already compared to the triple register Navitimers. 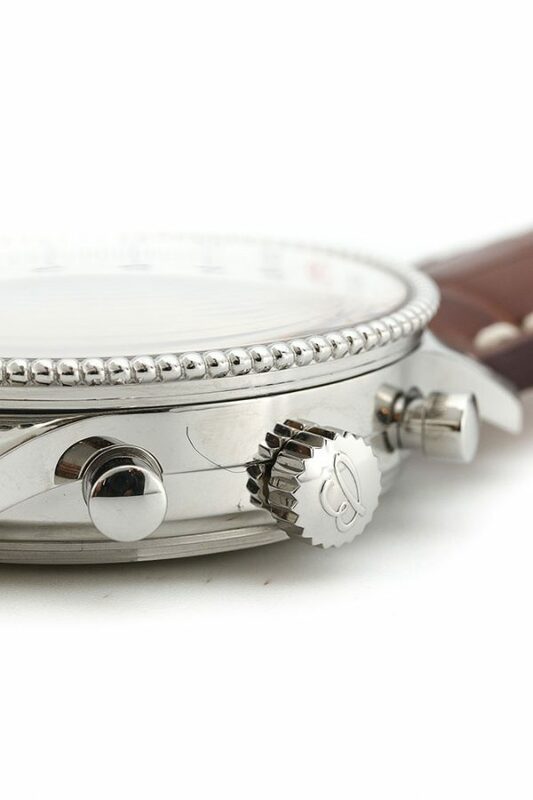 Combine this with the thick numerals and the off-white dial and its a fine retro Breitling from 2003. 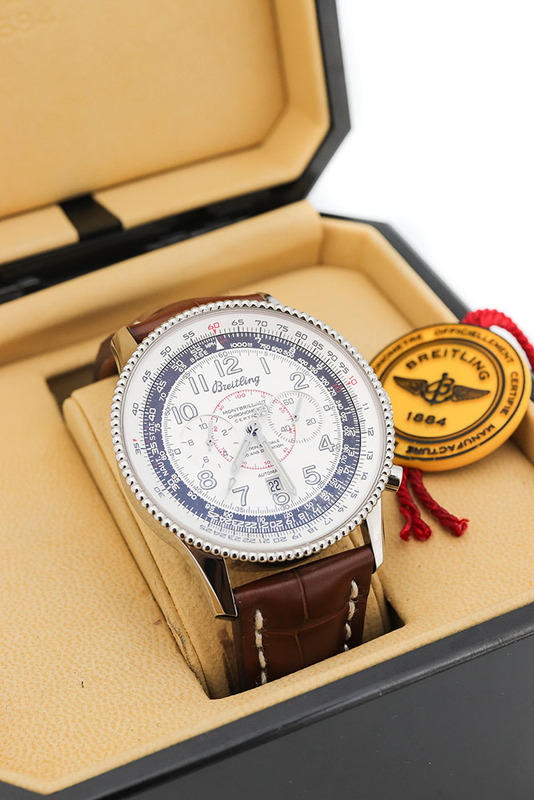 This watch is sold with its box and papers included, next to the COSC-certificate and 2019 Breitling service papers. Visit our store to get a hold on this cool pilot’s watch. We’re located in the Reestraat, Amsterdam. Tags: Automaat, Box&Papers, Service Papieren, 42mm.